Home > View all post > Who is Smoking the E-Cigarette in Australia? Who is Smoking the E-Cigarette in Australia? The use of the “smokeless” cigarettes is growing in popularity all of the world, but the number of users in parts of Australia is surprising. Over 700,000 people in Australia have opted to try smokeless devices, with a large percentage moving away from other options happy this new choice. The reasons for their choices are often far more complicated than typically reported, and are generally a matter of personal taste. The first pleasant surprise those trying this alternative find is a smoother taste. Use of this form doesn’t involve the combustion of tobacco, so those using this method will taste only the liquid flavouring. The vapours being eliminated in this form bring out a more satisfying tobacco flavour. Of course, some who use these products also enjoy the taste of other essences such as cherry, menthol, or even chocolate. Most people don’t miss the charred taste, or having harsh smoke blowing into their face. The problem with smoking the traditional cigarette is the smoke, and the combustion. The smell of smoke will cling to the hair, linger in a car or home, and non-smokers usually find it offensive. With fewer and fewer places to smoke in public the electronic cigarette in Australia finds some of its popularity in not giving off a lingering scent. Since those using this form of nicotine buy an e-liquid for e-cigarettes they find the odor hardly noticeable. It reduces the need for constantly monitoring whether the stale smell of smoke is spoiling clothing, hair or other items. Those who use this alternative also find their friends and family no longer complain about places or articles reeking of a smoky “chimney” odour. Among those who elect to buy premium e-liquid alternatives over the traditional smoking or chewing tobacco discover these are less likely to stain. Smoking leaves stains on the fingers and teeth giving a person who smokes an aged appearance. Stains can also appear in the home where an individual using a standard cigarette regularly lights up as the smoke wafts up to the ceiling or walls of the home. Yellowing isn’t caused by nicotine, but rather the tobacco as it is super-heated by combustion. Those who have moved to the newer form of e-cigs in Australia have found there’s no staining with the electronic method. Most of those who use alternatives such as this electronic form are long time smokers. On average, most people are looking for an improved method of enjoying tobacco or nicotine without the downsides of having to light up. 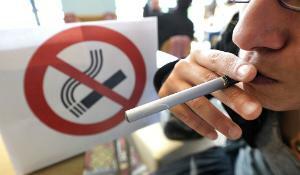 Convenience is the usual reason smokers turn to the use of electronic devices. Standing outside in all kinds of weather, stains, and smells have made, the older method less and less attractive. Most people feel more in control of their use of these liquid products. The e-cigarette is the same size and shape of the traditional type, and can fit easily in a pocket or purse.